Your favorite classic movie starlet on a mug! The Marilyn Monroe Red Dress 20 oz. 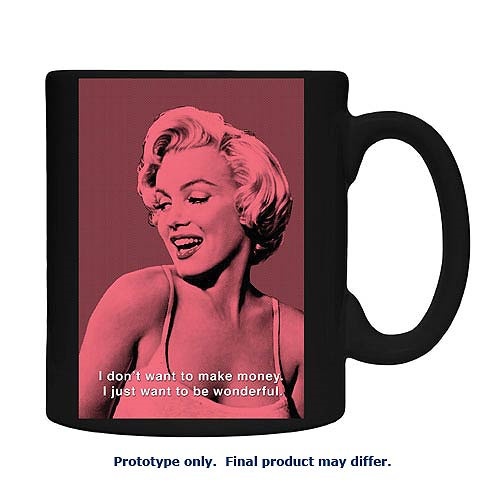 Mug features a black and white image of the beautiful actress with a red dress and lipstick. This mug holds 20 ounces of liquid. Hand wash only. Not dishwasher safe. Do not microwave. "I've been a customer of EE for awhile. I've never dealt with a better company! They have the best selection of collectable items and they always come mint. Customer Service and their social media team is A+!!!" "I've been a customer of EE for awhile. I've never dealt with a better company! They have the best selection of collectable items and they always come mint. Customer Service and their social media team is..."